Aden Baines-O'Hagen and Ivy Morlock are in the back of the room. 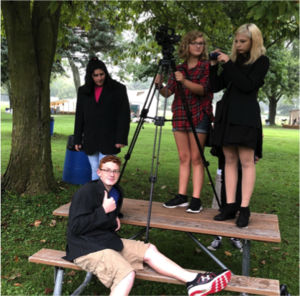 The other students include Josephine Mangus, Brooklyn Ranieri, MaKaylee Kidwell, Miranda Fisher, Gracie Chester, Faith Egbert, and Cole Routzahn. 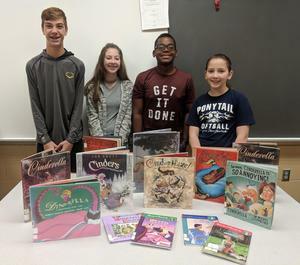 The 7th grade reading class is studying the story of Cinderella and the worldwide versions of this folktale. 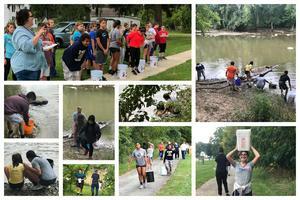 8th grade STEM class traveled to Honey Creek on September 20th with the goal of determining the water quality based on the macro-invertebrates they collected. Students complied data that will be sent into the Ohio Department of Natural Resources. Thank you to Linda Rose for guiding us on our visit! We are opening the eyes of our students to STEM at TMS! 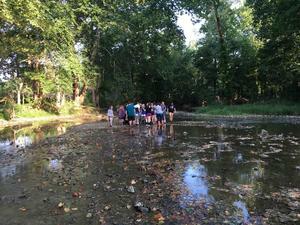 TMS students collected qualitative and quantitative observations based on a crime scene. 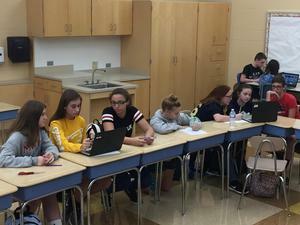 The students had to create a scenario of what happened based on their observations and collaboration with other students. We also included discussion of forensic sciences and its relationship to STEM and observations. Next month we will be having a professor from TU come visit our class to talk to the students about Forensic Sciences. 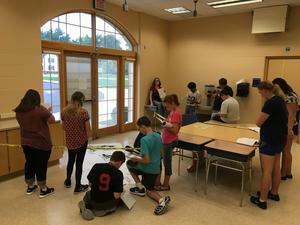 See the attached for TMS students creating Seneca County History Connections.